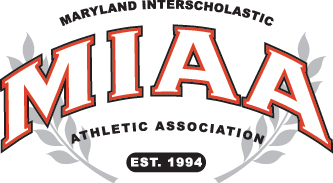 In a first place showdown in the MIAA B Conference, Archbishop Curley and Glenelg Country each put unbeaten league records on the line, Friday in Ellicott City, and the visiting Friars rushed out to a huge first half lead and prevailed 11-7. Curley (5-1 overall, 4-0) scored all 11 of its goals in the first half as it built an 11-4 advantage. The Dragons pitched a second half shutout on defense but only managed three additional scores. Junior Nate Rollins scored a game-high four goals for Curley and senior Scott Kahl had two goals and two assists. Juniors Josh Knapp and Gage Collahan also scored twice each. Senior Paul Lewis also notched a goal, while Denzel Evans, Andrew Jackson and Nick Ramage all contributed an assist. Freshman Will Hopkins had two goals and an assist to pace Glenelg Country (6-2 overall, 4-1). Jai Bhatnagar, Rocco Buscher, Joey Welsh, Brennan McKneely and Connor Malone had single goals for the Dragons, while Matt Palmisano had two assists. Junior Brayden Franey help keep Curley from running away with the victory by saving 15 shots in the GCS goal, while Curley’s Sean Roesner had four stops.